Like a kid in a candy store, my jaw dropped when I saw the classic interior of SM Aura Department Store at Bonifacio Global City. You see counters made up gold and depp mahony shades, modern counters and products that have their own devoted spaces and still the familiar looks that we have all come to love. Consider me a happy girl because despite the fact I love practically all the malls in Manila, SM has it all. Fendi Eau Fraiche is one of those, whom invited me in the press launch of SM Aura Premier and of course, the unveiling of this new fresh scent from this global brand. 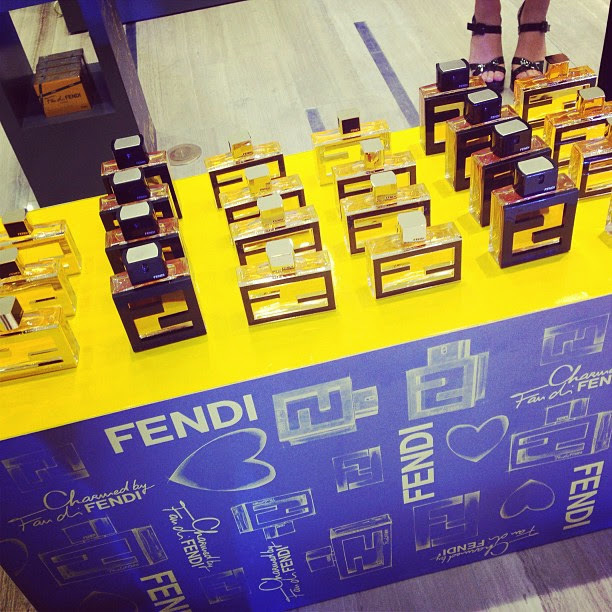 For a week, you'll see Fendi in front of the entrance to celebrate the new scent they have.. a girlier more feminine and light scent, Eau Fraiche. 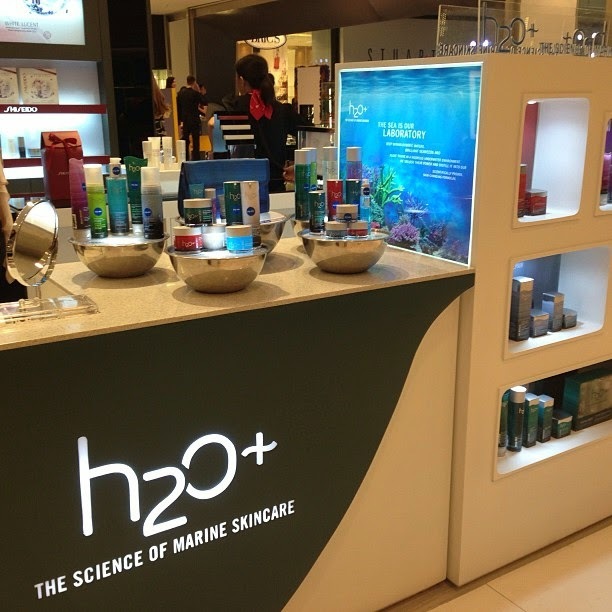 The return of H2O, the science of marine skincare, which I was told was here in the Philippines in the 90's. Not surprised they didn't last that long considering that 90's wasn't really the best time to launch a products as innovative as this. 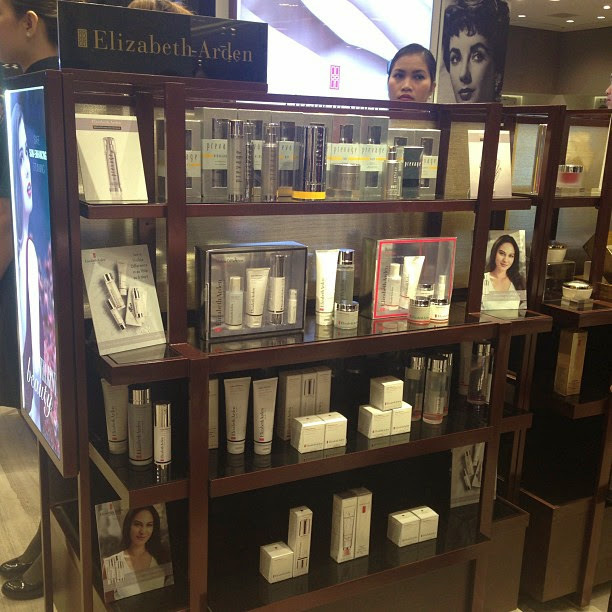 Classic brands such as Elizabeth Arden who has launch it's Visible Whitening Line. I love how the packaging contrasts with the deep chocolate brown counter. 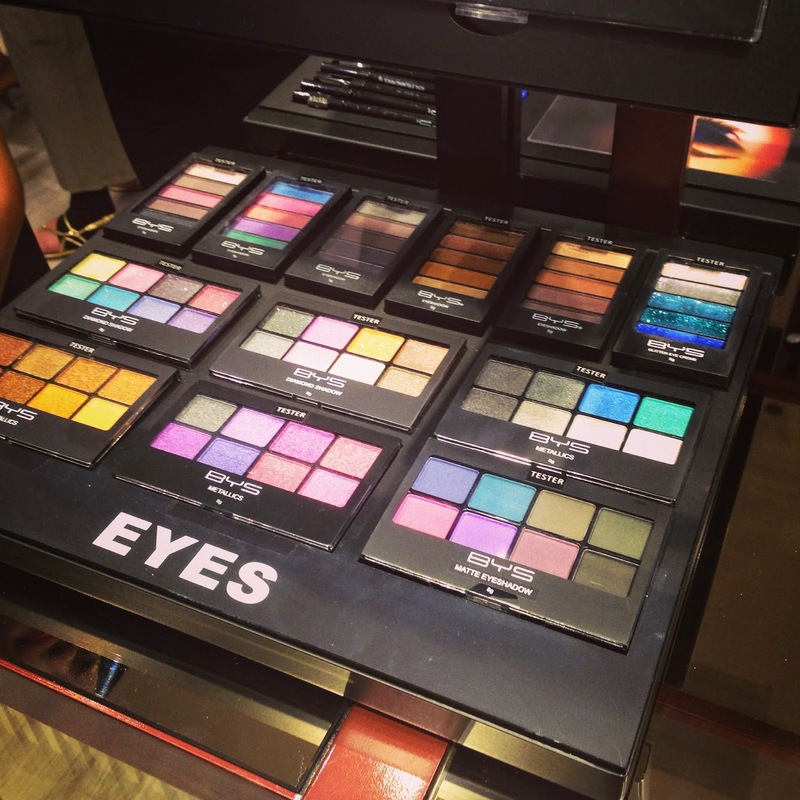 It made the products stand out and the luxury seems more apparent. 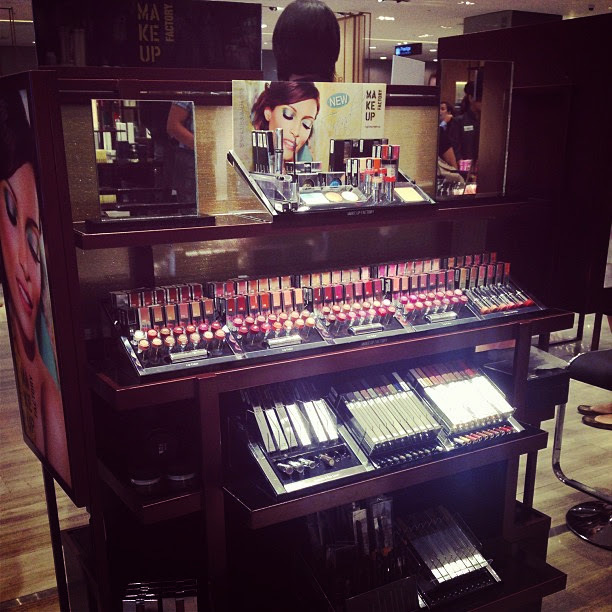 Germany-based brand, The Makeup Factory si also in SM Department Store. Their main branch in BHS now has a little sister! Better check out their liquid liner and brow mascara. They are amazing. 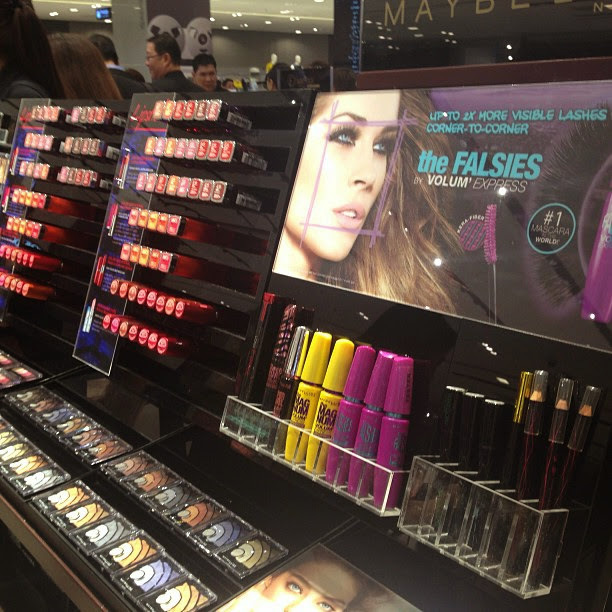 Mainstay Maybelline Cosmetics will always be present whenever a new beauty department store will arise. And I like the counter at SM Aura a lot more posh. It didn't look too crowded either, something I appreciate a lot. 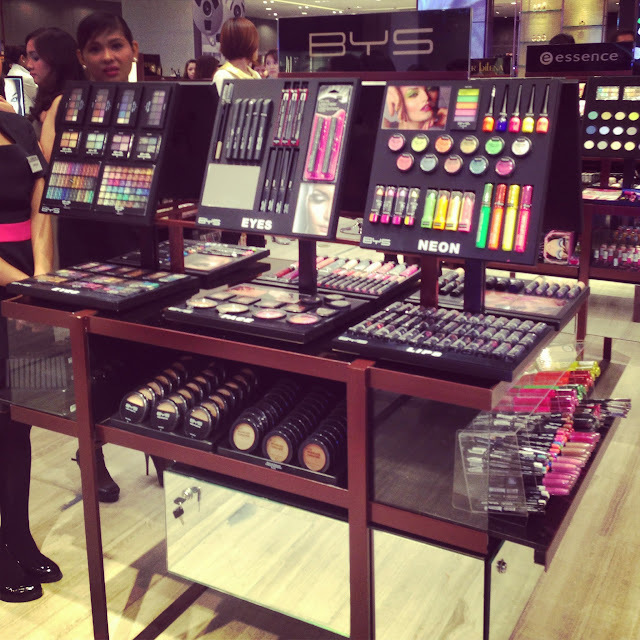 BYS Cosmetics, an Australian-based cosmetic brand, also made SM Aura it's home. And looking at how nicely positioned their products are, SM made it a priority for it's customers to have better counter-experience. 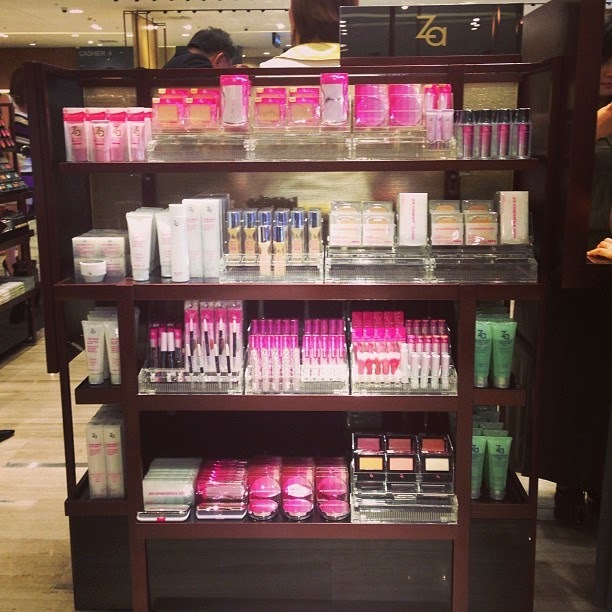 Za Cosmetics is also back! 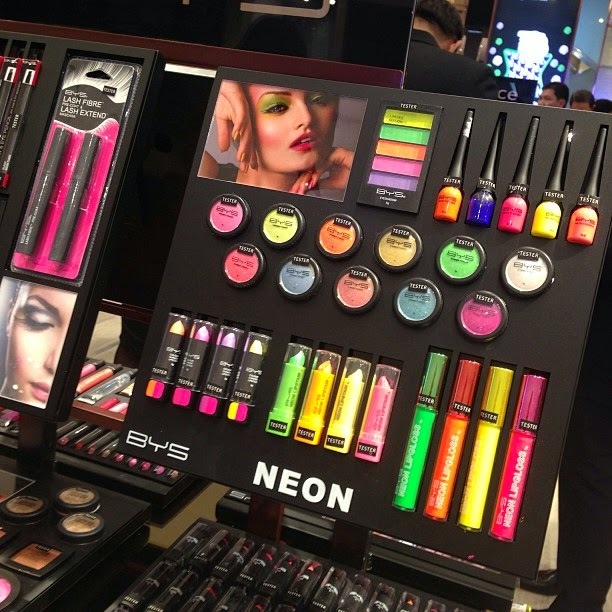 Seeing as how numerous cosmetics are making it's way back to our counters show that we are indeed more open to enhancing our outer beauty and the brands are taking another chance. I love the new Za packaging and I can't wait to try more products from their line! This one precisely. Their True White. I've tested it and it seems promising. The light texture and scent got me! Men gets a chance to look and feel good, too. 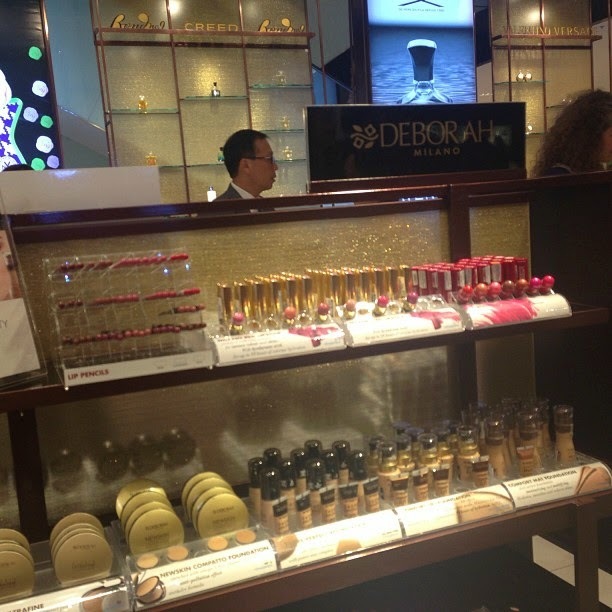 Products for men are also available in the beauty department of SM Aura Premier. 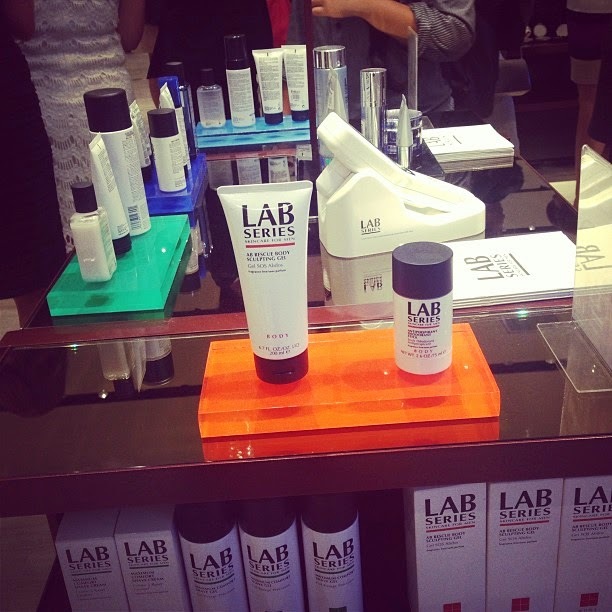 LAB Series is one of them, a range of skin care devoted for our better halves. It's as good as our top of the line skin care! 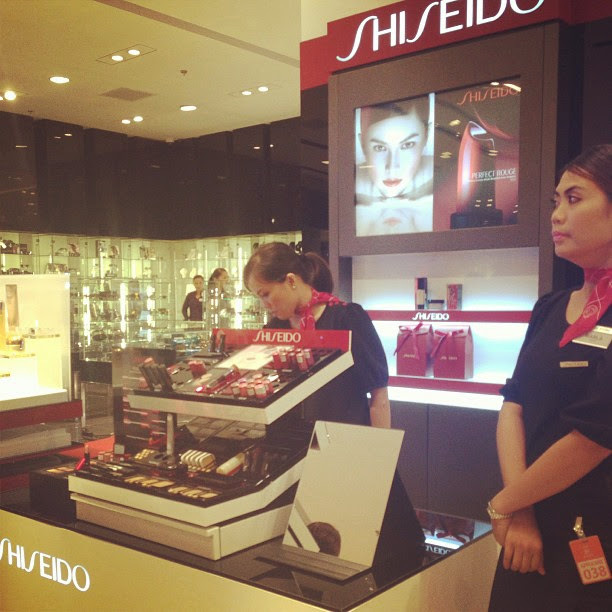 Like I said there are the familiar ones you'll see and that includes the shiny counter of Shiseido with their brand associates always looking so polished and almost like a flight attendant.